Private Chelsea Manning faced stern resistance when she wanted to come out as transgender, she said in an exclusive ​interview with Cosmopolitan. She also spoke about her transition to living as woman in a military prison. The military doesn’t allow in-person or phone interviews by inmates with reporters, so Cosmopolitan’s interview with Manning, 27, at Fort Leavenworth prison in Kansas was conducted entirely by mail. Cosmo asked her about life behind bars and her lifelong desire to live as a woman. Since then, Manning said her quest for medical care during her transition has been distressing because she feels “like a joke” to military officials. She got a legal name change and requested treatment for gender dysphoria, but the requests were ignored. She had to sue the military for treatment with the help of the American Civil Liberties Union. Military prison officials have since granted her hormone therapy and female grooming supplies, which includes makeup and female underwear. But she is forbidden to grow her hair, which she finds painful and awkward. 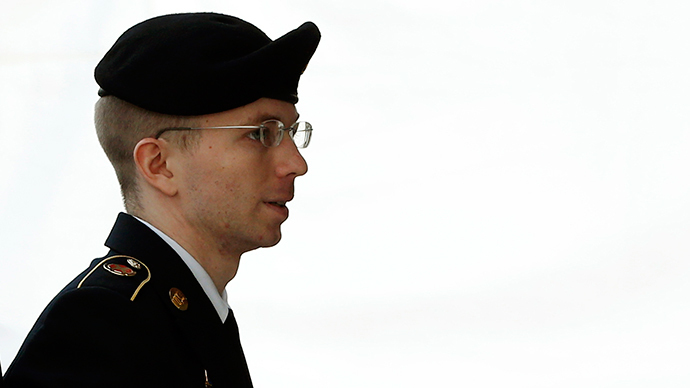 The ACLU and Manning said they will continue to fight for the right to grow her hair. Cosmo contacted the Army about the lawsuit, who referred questions to the Department of Justice, which said it couldn’t comment on pending litigation. “The fact that Chelsea is receiving hormone therapy and other treatment for gender dysphoria is an important victory for her that will hopefully ease her distress,” ACLU staff attorney Chase Strangio told the magazine. Manning told Cosmo she spent much of her life feeling disconnected. She secretly dressed as a girl starting at age five or six. She was bullied in school, where she was called a ‘girly boy’ and ‘faggy’. As a teenager, she denied that she was transgender or gay and tried to convince herself she was going through a phase. Her home life was rocky, her mother tried to commit suicide, and eventually her parents divorced. "I had always known that I was 'different.' I didn't really understand it all until I got older," Manning said. "But there was always this foreboding sense something was 'wrong.' I never knew how to talk about it. I just remember feeling terrified about what would happen if someone found out. It was a very lonely feeling." She said the vast majority of transgender women are housed in male prison facilities, but that she hasn’t faced harassment from inmates and has made some friends. She is allowed visits from friends and relatives, but the prison doesn’t allow visits from people who didn’t know Manning prior to her incarceration. However, she receives letters from transgender people around the world. Manning could get out on parole in around seven years, but a parole officer would supervise her until her maximum release date in 2045.